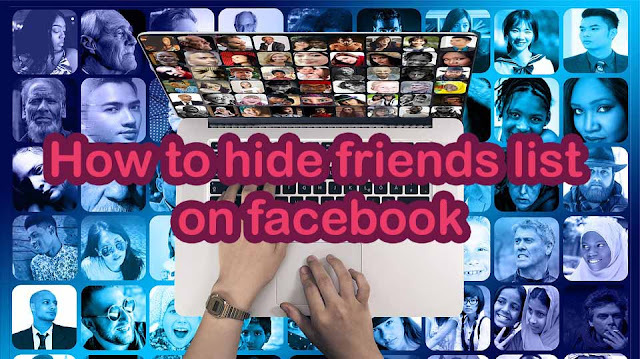 How to hide friends list on Facebook in 2018-2019 | “With the development of technology, the world has become a global village”. This saying is famous in today’s society. As is see it, this technological development has become a burden to man. Today, it is very difficult to find a person who doesn't talk about Facebook, as it provide many facilities such as Skype and chatting. People can makes profiles by using pictures and various videos. Facebook makes people famous. Children, teenagers and adults use Facebook. We can communicate with people around the world. But everybody must know the limits of using Facebook. If you misuse it you can fall in to trouble. When we read newspapers we find that people have ruined their lives, murders, unethical and illegal affairs and criminal acts. All due to fb. However, as the saying goes “too much of anything is good for nothing”, we must be careful when we use Facebook. The authorities should warn people about the good and bad side of Facebook. They must have limitations and control the use of fb. Otherwise it is better to ban Facebook in our country. So people facing lots of problems via fb. In the meantime fb included some features avoid crimes and illegal affaires. Each Facebook customer has their own specific view to control their Facebook account. If you are a fb user you can hide your profile pics, friends list, photo album, contact details such as phone number and email address and also your timeline and shared post. If you are feeling unsafe to share your friends list with other Fb users. 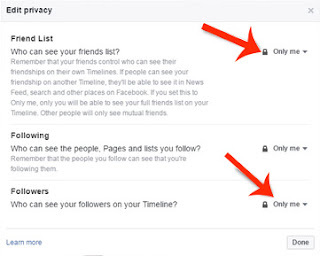 This guide will help you to hide friends list on Facebook with easy steps. Facebook gives a chance to hide Facebook friends list from others. 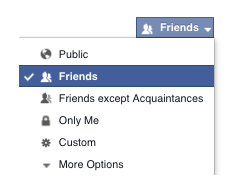 Now, You will see friends option under the facebook profile cover photo. So now click it. Click at the top of the page on the pencil mark and select edit privacy from the dropdown menu. If you want to hide your followers and who you follows from others. Make all settings to only me from the three dropdown menu. In 2017, I searched all over the internet, forums, facebook groups and asked editors for get the information to hide mutual friend list on fb. But all they answered you cannot hide mutual friends in 2017, there are no option fb provided to do this. So mutual list is always visible to your friends and users. People can always see mutual friends. If I got a solution for this problem. then, I will surly update this post. So you guys don't forget to bookmark this page. If you know any solution for this, then don't forget to share. Comment section always available to discussions. If you got something informative from this page. Share with your friends. It will helps them too. Like our facebook page, follow us on twitter, Subscribe to Our Newsletter. If you want to publish your article in this Blog Contact me via Contact Us page. Facebook made lots of crimes in past few years. But now provide lots of feature to make safe Facebook. It is really happy to hear. In other side fb made lots of good things. Now people and leaders fear to make mistakes, and illegal works. I try to say "Facebook has good site and bad site. Choosing good or bad its depend persons personality ". Thank you. Your guide helped me to hide my facebook friends list. Keep writing. I bookmarked your site. I happy to read your upcoming article and guide.